This is a controversial topic. Since the beginning of the financial crisis, there hasn’t been a single week without someone calling for increased banks’ capitalisation. What does it mean in practice? Banks fund their loans and investments through several main channels: customer deposits (retail and corporate), interbank deposits, short and long-term wholesale borrowings, and equity. Equity represents around 3 to 7% of banks’ funding structure in developed-markets, i.e. equity funds 3 to 7% of the bank’s loans and investments. This has led many to say that banks are ‘over-leveraged’, as the rest of the funding structure is effectively debt, under one form or another. Under current and future Basel 3 rules, banks are also allowed to count some form of loss-absorbing hybrid debt and preference shares as complementary capital, on top of shareholders’ equity. This ‘Tier 1’ capital should reach 6% of risk-weighted assets (not of total assets, see my previous post) by 2019 (up from 4.5% previously). Many people think it is not enough. 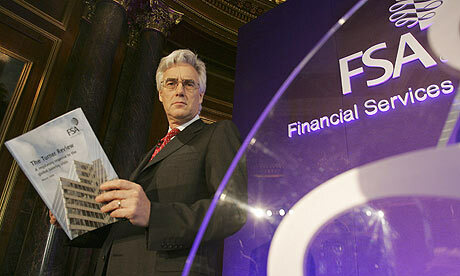 In the UK, Sir John Vickers proposed that equity should fund 20% of the banks RWAs (up from the 10% he recommended with his Independent Commission on Banking). In the US, calls for higher capital requirements are also very common (see here, here, here). Most of them point to the fact that banks’ equity level used to be much higher in the past than it is now. I’ll come back to this claim and many others on capital in another post. Today I only want to address the main claim backing the ‘more equity is always better’ argument: that increasing equity (or more generally, regulatory capital) does not negatively impact the banking sector’s lending ability. Research by Anat Admati and Martin Hellwig has provided the main intellectual foundation to proponents of increased capital requirements (see also their now famous book, The Bankers’ New Clothes, which has received positive comments from regulators and most of the financial media, and which I’ve read and will try to review when I have the time). Their argument about capitalisation looks convincing and has not really been challenged so far on theoretical grounds: capital does not represent money set aside for safety which could otherwise be used to lend, as some foolish bankers would like us to believe. Why? Because equity is also already used to lend. Therefore, we can increase equity and lending will not be constrained as a result. They are right (as highlighted at the beginning of my post). However, they are also wrong. Before considering two different scenarios, let’s remember that we live in a fractional reserve banking world. When you deposit money in a bank, the bank lends out a portion of it to other people (or invests it in securities). Effectively, the bank never has all of its depositors’ money at the same time. However, deposits are still considered as part of the money supply. Why? Think about your own reaction when you put money in a bank: you consider money as yours and redeemable on demand. So you hold your physical cash balances at a minimum, considering that you can go get the rest of your money whenever you want anyway. And your consumption pattern reflects your whole money holding (cash on hand and deposits), not only the cash that you have in your wallet. As a result the money multiplier applies, according to reserve requirements. What is it? In such a system, banks can effectively lend out multiple times the funds that have originally been deposited, as long as they keep enough of them to satisfy daily withdrawal. As such, banks create money (through new deposits). In a world with 10% reserve requirements, the money multiplier is 1/RR = 1/0.1 = 10, meaning the banking system can potentially multiply the original deposit base up to 10 times through lending. This is where things differ regarding equity. Equity is not a deposit. It is not subject to reserve requirements (and hence to the money multiplier). Once you’ve invested in a bank’s equity, you don’t consider this money as yours anymore (you only have a claim on it that cannot be used for anything else). The only thing you can do is sell your stake at some point in the future to generate cash. As such, equity funding is a kind of 100%-reserve banking system, i.e. equity transfers money instead of creating it. A banking system 100%-funded through equity would be similar to a 100%-reserve banking system, with banks essentially becoming some sort of mutual funds (and deposits not being used at all for investments). Alright. Now let’s now see what happens if banks’ capital requirements is 10% of their assets. Ex-post, after applying the deposit multiplier (when the system if ‘fully loaded’), M1 should be comprised of 10% of equity and 90% of deposits. Consequently, to figure out the original ability of the system to lend and create extra-deposit, we need to work backward in order to find out the ex-ante money supply structure. Rebasing the 10%/90% M1 structure gives a 53%/47% M0 structure after dividing the deposit base by the deposit multiplier, equivalent to M0 = 19% of M1. It also means that the system’s fully-loaded state (M1, after monetary expansion through fractional reserve lending) represents 526% of the original money supply M0. What if banks’ capital requirements are raised to 20% of their assets? Ex-post, after applying the deposit multiplier, M1 should be comprised of 20% of equity and 80% of deposits. The 20%/80% M1 structure gives a 71%/29% M0 structure once divided by the deposit multiplier, equivalent to M0 = 28% of M1. It also means that the fully-loaded state (M1) represents 357% of the original money supply M0. Clearly, increasing capital requirements led to a lower potential money supply as banks were not able to lend as much as before as a larger part of the money supply was not subject to fractional reserves anymore. Admittedly, this is a very simple scenario that might not accurately reflect the effects of the various near-moneys and injection of reserves by central banks of the real world. However, it does show that Admati and Hellwig’s claim is not that simple and straightforward. They also never explain how capital requirements can be smoothly increased. In real life, the transition process can be quite painful as we witness every day at the moment (banks cutting lending in order not to issue new equity, etc). Don’t get me wrong though. I am in favour of banks holding more equity. But I don’t want to force them to do so. There are various historical reasons that explain why equity as a percentage of assets is low nowadays, and most of them are due to….the influence of government’s policies. Surprising heh? From a free-market perspective, one can only be against macroprudential regulation. Macroprudential regulation is the new fashion among regulators and other policy-makers. It’s trendy, and I understand why: it sounds clever enough to impress friends during a night out. It aims at monitoring a few macroeconomic indicators in order to try to ‘cool’ the system if it seems to be overheating. Those tools are supposed to be countercyclicals: if the economic environment is good, regulators can force the whole banking system to start accumulating extra equity or liquid assets for example, or decide to cap the amount that all banks can lend to mortgage borrowers. As you can guess, it is not the kind of self-regulating financial system I particularly appreciate. This is once again a typical example of trying to fix the symptoms created by the system’s defects, without touching those defects. Wrong monetary policy? Bad government policies and subsidies? Of course not, the financial system is inherently bad and fragile, regulators and politicians said. Well, to be fair, this is their job and how they make money. Interest rates make the headlines, but the Federal Reserve’s most important role is going to be the gargantuan systemic financial regulator. The really big question is whether and how the Fed will pursue a “macroprudential” policy. 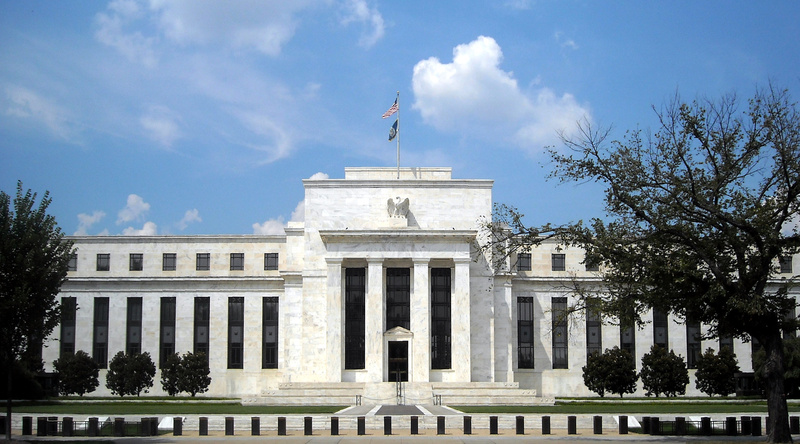 This is the emerging notion that central banks should intensively monitor the whole financial system and actively intervene in a broad range of markets toward a wide range of goals including financial and economic stability. This is not traditional regulation—stable, predictable rules that financial institutions live by to reduce the chance and severity of financial crises. It is active, discretionary micromanagement of the whole financial system. A firm’s managers may follow all the rules but still be told how to conduct their business, whenever the Fed thinks the firm’s customers are contributing to booms or busts the Fed disapproves of. I completely agree with Cochrane. And I completely agree with both of them. Christensen argues that the central bank’s goal is to provide nominal stability – to have a single target and stick to it, but that macroprudential regulation would involve manipulating many different tools having opposite effects, with likely unintended consequences. He then goes on to argue that if “markets are often wrong”, central banks are even worse and “have a lousy track record” at spotting bubbles. Third lesson: Limited power is the price of political independence. Once the Fed manipulates prices and credit flows throughout the financial system, it will be whipsawed by interest groups and their representatives. = crony capitalism. This has plagued all corners of our capitalist system for ages, and when things turn bad, free markets/laissez-faire capitalism/liberalism/neoliberalism/ultra turboliberalism/add the one you want is blamed… Go figure. Obviously, the whole thing rests on the myth that the financial system is fragile and must be ‘safeguarded’ or ‘protected’ (see this IMF article) by ‘benevolent dictators’, in Christensen’s words. I would also add that macroprudential ideas are now new and have been already tried one way or another since the early 19th century (but how many regulators and economists remember that? See an example here). This is how I see things: no central body can ever have perfect knowledge of what’s happening in the economy and what the various plans, wishes and wants of the millions of actors in the system are (I am obviously not the first one to say this. See Mises, Hayek, Friedman and so many others). As a result, any central intervention is bound to fail or create distortions in the economic landscape. Central banks are a monopoly: they define nominal interest rates and base money supply unilaterally and can only adjust their policies with a time lag, after they have already affected the economy. A distorting monetary policy can easily kickstart asset bubbles: an increasing supply of ‘high-powered’ money (base money) not matched by an increase in the demand for money can easily lead to excess credit creation. If real estate prices boom due to the flow of credit towards the sector, is it reasonable to try to stop it? The flow of credit is already here, and if it cannot go where it wanted in the first place, it will find another place to go to. China and its wealth management products is a good example of this process. Finance is a spontaneous process: people can be very innovative at finding ways of bypassing restrictions to achieve their desired financing and saving goals. Macroprudential controls would only move the problem from one sector to another, without correcting its very source. Macroprudential regulation would also introduce an unwelcome dose of discretionary rules and micromanagement, which have destabilising effects on trust, markets and economic actors. Matthew C. Klein is a columnist for Bloomberg. He used to write on The Economist’s economic blog, Free Exchange. Despite not agreeing with him most of the times, I found that he had some of the most provocative and interesting pieces among the usually quite dull Economist posts. And I used to comment on those pieces. A lot. He today published a new piece on the Bloomberg website, arguing that the ‘devaluation’ of US-based Southwest Airlines’ frequent flier reward points explains why private currencies (including free banking, Bitcoin and equivalents) have never taken off: they have unstable and unpredictable purchasing power. His argument is really misguided. Let me explain why. First, I would not really call reward points currency. They are media of exchange of very limited use. They are definitely not generally accepted media of exchange (to be honest, Bitcoins aren’t either, as George Selgin explains). Matthew Klein seems to have limited knowledge of banking history: free banking systems have been very stable where and when they existed (White, Selgin, Dowd, Horwitz, and others have published enough on the topic). It is the state that monopolised currency issuance for its own benefits which very often led to financial crises. Currency depreciation has also been much more acute under government’s fiat currency systems. Finally – and this is where Klein’s argument really breaks down, the Southwest frequent-flier points devaluation is linked to the devaluation of the dollar! How? Like free banks’ private currency issuance is based on outside money reserve (usually gold or some other commodities), frequent-flier points are also based on another type of outside money (here, the US Dollar) although the analogy is not exact. Basically, every time a customer pays X USD to Southwest, Southwest generates Y reward points. As a result, there is an ex-ante Y/X exchange rate, which is supposed to remain constant over time. Issuing those points is a cost for the company, but which is offset by the potential profit of keeping loyal customers, at this specific exchange rate. When enough reward points have been accumulated, they can then be exchanged for a flight (which are priced in terms of both USD and reward points separately). While Southwest does control the reward points supply, it does not control the outside money supply. And unfortunately, the USD is slowly depreciating thanks to the Fed, thereby increasing the ex-post Y/X exchange rate and the relative purchasing power of the reward points… Like any price, reward points-based prices are sticky, and have to be revaluated over time to reflect the change in the medium of account (which is also USD) that Southwest uses to report its profits. It looks like in this case that reward points-based prices are stickier than USD-based prices, making devaluations both less frequent and sharper in order to catch up with the depreciation of their underlying outside money. This phenomenon isn’t isolated. My internet monthly bill was recently increased by….25%! I was shocked for a few minutes when I found out. But it is easily explained: internet bills aren’t revaluated every month or even every year, despite the fact that inflation depreciates the currency’s purchasing power every month. At some point, internet firms have to readjust the prices that they charge in order to respond to the increase in their own supply costs and maintain their margins. And when it happens, increases are usually big. This is also valid for many other goods. So Matt, you’re going to have to find another argument to justify government-controlled currencies! The European Banking Authority today published its new Basel 3 monitoring exercise of European Banks. For those of you who don’t know what Basel 3 is, it is the latest iteration of the global banking guidelines defined in Basel, Switzerland, which roughly covers minimum capital, liquidity and funding requirements that banks have to achieve by 2019. I’ll come back to the details in another post. There is some partially good news. European banks seem to become more capitalised and more liquid. I have doubts regarding the process though, and I am not even questioning the centralised decision-taking in Basel, which I am evidently against. I am also against undercapitalised banks, but for other reasons. No, what ‘worries’ me is the method that regulators used to push banks to recapitalise. The Basel accord asked banks to achieve balance sheet targets by 2019. Then came the EBA and other national regulators, who ‘stress-tested’ banks and almost publicly shamed them if they failed the tests. Now, the EBA proudly announces that pretty much all European banks will achieve capital and liquidity targets (“fully loaded Core Equity Tier 1 capital ratio”, “Liquidity Coverage ratio”…) five years ahead of schedule. Hold on… Why even come up with a 2019 deadline in the first place then? The consequence of this is that banks have been under massive pressure to quickly ‘recapitalise’ in the middle of a European economic crisis, instead of doing it more progressively. This certainly did not help economic recovery, and we can also question the quality of the capital ratios achieved as a result. Why? Many banks have tried to bolster their regulatory capital ratio and their liquidity by… reducing their balance sheet. Meaning? They decided to reduce lending, maintaining their capital base stable (or even declining!). Moreover, many banks are also playing with risk-weighted assets (RWAs). RWAs allow banks to apply a “weight” on a specific asset class according to the perceived risk of this class. For example, US debt is judged as risk-free and hence will carry a 0% weight, thereby allowing the bank to hold no capital against it to absorb potential losses. Another ‘good’ news, HSBC will hire 3000 more compliance staff this year, following a similar move by JPMorgan. Surely this is good news as it creates jobs? Not really. HSBC already employs 2000 compliance officers. Hiring so many people to deal with red tape instead of working in more productive activities represents a big economic loss. 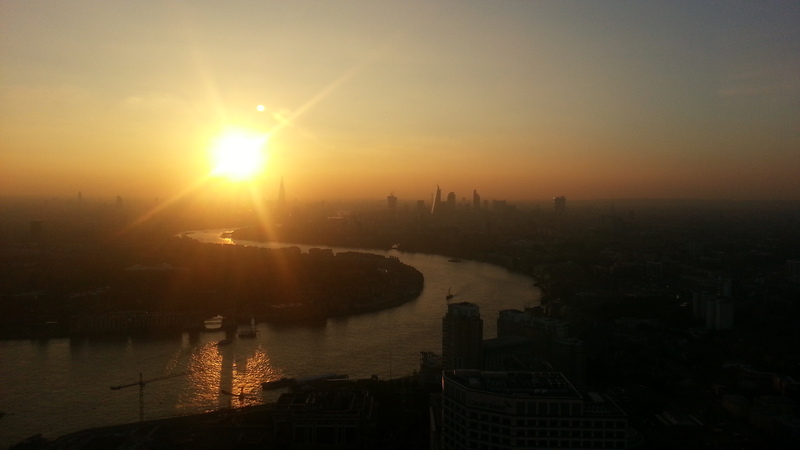 I have a nice view from my office, so I’ll upload pictures of London from time to time. Should the Bank of England have tools to prick property bubbles? Wait… Actually, it already has tools: it’s called monetary policy. Place the interest rate at the right level and stop massively injecting cash in the economy and, perhaps, you won’t witness real estate bubbles? There are other hugely distorting UK government policies at the moment: the Funding-for-Lending scheme and the more recent Help-to-Buy, which both push demand for property up through artificially low interest rates. I’ll explain that in details in another post. So the question becomes: why adding other distorting tools (whether ‘macroprudential‘ or ‘microprudential‘) and policies, such as maximum loan-to-value or loan-to-income ratios, on top of already deficient tools and policies? I have another suggestion: why not trying to correct the failings of the first layer of policies? Just saying. PS: Lord Turner is obviously mentioned in this FT article. I like Baron Adair Turner of Ecchinswell (Lord Turner for short). Every time he speaks about the financial system, I can hear enough misconceptions and misunderstandings to give me enough material to write several posts. By the way, he used to be Chairman of the UK’s Financial Services Authority, the former UK financial regulator, between end-2008 and early 2013. I have attended a couple of his conferences in the past. Lord Turner has a particular quality: he is quite good at figuring out the symptoms of a crisis, but always seems to mistake those symptoms for the underlying disease. As a result, he comes up with misguided remedies that are usually very interventionist and with the potential to make things worse. So you’ll probably hear of him relatively often on this blog. A couple of weeks ago, he published an article called…”The Failure of Free-Market Finance”… As you can guess, I couldn’t miss the opportunity to review it. Well… I was disappointed. Not because he doesn’t make any mistake, but simply because he does not seem to actually justify the title of his article. Overall, he is right than an excess of debt is partly a reason for the crisis, and that current mainstream economic theory does not factor in leverage (or not enough) and wrongly considers a low and stable inflation as enough/necessary to ensure economic and financial stability. But he never explains how this debt level builds up over time (to be fair, he does explain it in other articles and presentations, but once again, without ever digging enough in order to reach the root cause. Probably more on this later). I find it quite ironic that someone who promotes a strong state control of the financial sector, like Turner, quotes Friedrich Hayek. My guess is that he needs to reread Hayek. As Hayek never mentioned over-investments as the cause of the economic cycle, but malinvestments (roughly, investments wrongly directed towards less than profitable-enough activities) (although over-investments could arguably be linked to the theory). And Hayek would certainly never have promoted state control, which he saw as the root cause of crises. There is also a particular contradiction in Turner’s text… He basically assumes that regulators and economists would be able to foresee the evolution of indebtedness, bank lending and asset bubbles in order to adequately use countercyclical tools to ‘manage’ them, despite the fact that, a few lines earlier, he explained that “most economists, central bankers, and regulators […] failed to foresee the crisis” and that “official forecasts in the spring of 2009 [did not] anticipate a slow recovery”. Right… So, if central planners can’t forecast accurately, how are they going to apply their tools? Quite a provocative title for an article that does not fundamentally attack free-markets. Just one last thing though: it is quite perverse to call the pre-crisis financial system a ‘free-market’ system. It was anything but. As the head of the FSA, I guess that Lord Turner had heard of Basel 1, Basel 2, and the tons of various local financial regulations that were in place. And I’m not even mentioning the various subsidies, crony capitalism, state control, centralised monetary policy and currency issuance… Not really your model free-market financial system. Five years after Lehman’s collapse, the world is still struggling to get out of the worst financial and economic crisis in decades. Politicians, regulators, economists and the public were fast to blame ‘greedy bankers’, speculators, financial deregulation and free markets for the mess. Banking and finance were inherently fragile and had to be regulated and monitored closely. The backlash against finance led to thousands of pages of new regulations and other requirements: Basel 3, Dodd-Frank, Vickers, Liikanen… There is not a week without a new regulatory proposal to make banks safer. While the Glass-Steagal act was 37 pages long, Dodd-Frank was 848, from which regulators have extracted…14000 pages of regulation so far. Layers of new regulations are added on top of previous regulations to try to correct their failings, and new regulatory, macroeconomic and macroprudential powers are granted to central banks and regulators, making them some of the most powerful economic bodies in history. As The Economist pointed out early 2012, Dodd-Frank is too big not to fail. Despite this, The Economist also fell for the “more regulation is needed” argument. At the time of my writing, it looks like there is only one way forward: more red tape. Yet I decided to create this blog to offer an opposing view and a counter-explanation of the crisis. In this blog, I’ll argue over time that free markets and finance are not to blame for the financial crisis and its economic consequences. 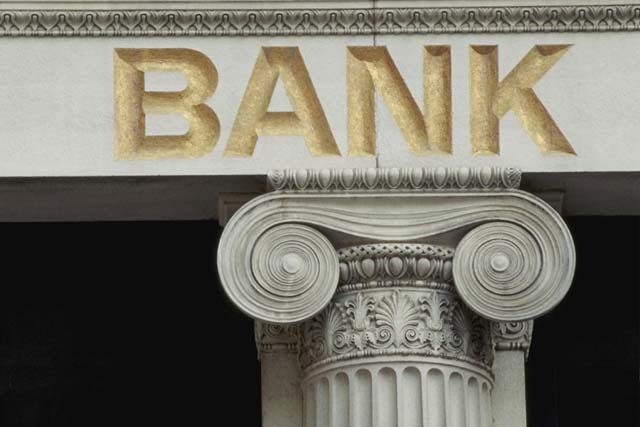 Banking is not inherently fragile, as Larry White explained very well in a recent article. Poor regulation and political incentives are the culprits that have made banking and finance fragile. As a financial analyst covering the banking sector, I personally witness and experience every day the distorting effects of various pieces of regulation on banks. Not only increasing red tape leads to economic inefficiency, but it also creates unintended consequences that can sometimes be dramatic, as the recent crisis demonstrates. Throughout history, money and finance have emerged spontaneously, through voluntary human action as people looked to facilitate trade. No central entity governed the emergence of finance, and when a government, king or dictator, tried to take over, define or ‘harmonise’ the financial system, it almost always ended up in tears. Contrary to the mainstream economic view, the most stable banking systems in history were all almost free of regulation and other constraints. This is why it is time to offer a free-market point of view on current financial issues. Therefore, not only will I comment on major financial and monetary developments, but we will also illustrate our points through the study of financial and banking history, most of the time ignored, but often of particular relevance. Financial innovation will also be a particular focus of this blog. There currently are exciting innovation spontaneously appearing out there, thanks to the initiative of private entrepreneurs and private demand, such as peer-to-peer lending, crowdfunding, virtual currencies and other trading and FX online services. In my opinion, those innovations reflect the very essence of the spontaneous laissez-faire process of linking savers and borrowers that is finance.